Horse + Bamboo are working in partnership with a number of organisations on an extremely varied group of creative projects loosely based around the theme of water conservation. The ancient Sumerian God of water was called Enki. We have been inspired by the work of the international organisation, the Waterkeeper Alliance, to follow the work of a colleague, Nabil Musa, who was a performer on our ‘Veil’ show, and is now the Waterkeeper of the Upper Tigris in Iraq. Turkey dams the rivers and makes them run dry in Iraq and destroys the marshlands of southern Iraq. People upstream also throw their garbage in to the river thinking the river will carry it away! The rivers have caught fire, are polluted with sewage and oil and chocked by garbage. What would Enki say if he could see these rivers today, I wonder? We have been working with the animator Kain Leo to create a short animated film to raise consciousness of the work of the Waterkeeper Alliance and Nabil in Iraq. The Waterkeeper Alliance is the largest and fastest growing organisation campaigning internationally for clean water. The Trust was formed back in 1997 in an attempt to restore the Ribble and the surrounding flora and wildlife to its former glory. The Ribble catchment area starts just a few miles from our base in Rossendale, so we’re very keen on helping and supporting this local initiative – whereas Iraq is just a little too far away for day to day commuting. In development with the River Ribble Trust we are being helped to rework our ‘Babies Overboard’ show in Preston and Hyndburn over the summer. This project is also in partnership with They Eat Culture, in Preston; Fable Arts in Lytham, and Aawaz in Hyndburn. We have chosen the river and water theme for our two most recent projects with early years groups – Babies Overboard, and Run River Run. 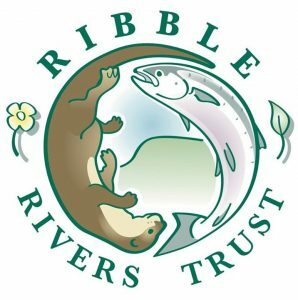 These are being developed in conjunction with the Ribble River Trust (see above) to help and support their educational programme.